Rugs are a very beautiful addition to your home, especially the living room. They create that sort of warm and cozy atmosphere once you enter the room. In addition, having a rug in your home is very helpful if you have kids so there’s always a place for them to play. For adults, throw in a couple of cozy pillows and there you have a place to watch TV, enjoy in front of the fireplace or drink coffee and chat. If you love farmhouse style, then a rug in the same still will help you completely redecorate your living room. Here are a couple of suggestions you can find online. Geometric shapes are always popular for rugs, regardless if those are circles, squares, or in this case, parallel stripes. This is a combination of whitish, sort of a beige, stripes with grey which is perfect for a farmhouse rug. It looks contemporary and it would be a perfect match for living rooms with predominantly white and grey colors in home decor. Due to its light colors and softness, people also love placing this rug in nurseries. It’s available in 4 different sizes. 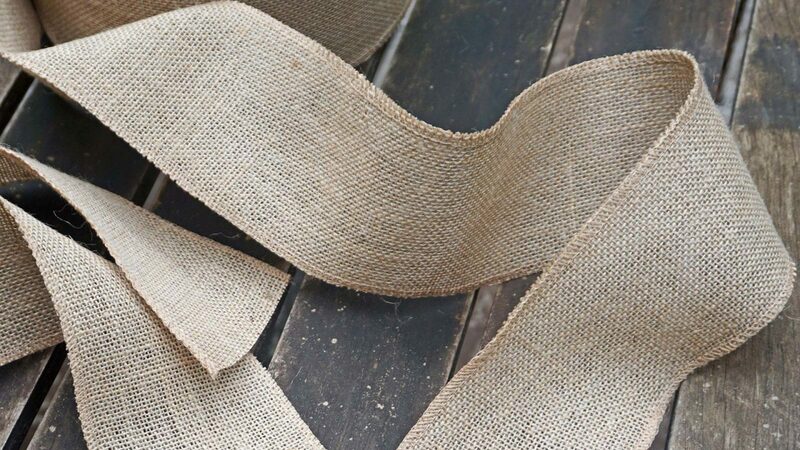 Nothing says more farmhouse style than using natural materials such as jute. What is distinctive about this rug is the way the fibers are woven to form a sort of a zigzag pattern. In fact, the rug is hand woven, so this pattern seems even more impressive. It’s made from natural materials, including jute, sisal, and seagrass. The rug has a cotton backing to increase durability and protect the floor. A combination of colors include shades of beige and brown. There are fringes on two sides. Many sizes are available, starting from 2’6” x 4’ to 9’ x 12’. Jute is a natural material which brings a lot of strength and durability to a rug, and it also stresses that rustic, farmhouse charm when placed in your home. This rug is hand-woven to ensure the uniqueness of the final product and craftsmanship with which it’s created. There are many different sizes available, meaning you can fit it in most rooms. Since jute is a natural material, it responds well to the process of dying, so the rug is available in several colors. For example, this one has a soft color of rust allowing it to blend seamlessly with home decor and give that relaxed charm. To bring more softness into a natural rug made of jute, some other material is used in combination. In this case, jute comprises 80% and 20% is cotton. The rug has that rustic kind of vibe, perfect for decorating in the farmhouse style. It’s available in four different sizes. You can choose from three colors the one that matches your home interior best. The colors available include grey, blue and yellow. The carpet has tassels on two sides that brings the casual look into the room where it’s placed. If you’re looking for a rug that still has that rustic look, but it’s softer, you might want to check those from artificial materials. They’re still gorgeous, they can be just as rustic and vintage as those made from jute. However, what these rugs offer is a much greater diversity of sizes and colors. The rug is 1/2” thick with a cotton backing foundation to add durability and provide more softness. It’s a vintage complementary piece for any room. Most rugs from this collection have small tassel parts on two sides. Here’s a more colorful alternative for a farmhouse style rug. It has multiple colors, which are quite bright and vivid, bringing life into any room where it’s placed. The rug is handmade in a sort of a braided construction from cotton. There are several sizes available to choose from and two shapes, oval and square. Made from 100% polyester, this rug is another piece you should consider when thinking about farmhouse style rugs. It has plenty of geometrical shapes created in a sort of a messy drawing. It’s very soft and plush, but not quite thick. The color is white with grey drawings, which instantly opens up space where it’s placed. There are four different sizes to choose from. It’s great for living rooms as well as for kids rooms. Available in two sizes and many different patterns and colors, this rug is another item you might find easy to blend in your home decor. It’s made from polypropylene to prevent shedding, with jute backing. It has this contemporary design inspired by abstract patterns and modern colors. Most of all, it brings style and elegance to any room where you place it.